Are you planning to move soon? Perhaps you've taken advantage of the increasingly positive real estate marketand decided to upgrade your home? Whether you've recently sold your home, or simply bought a new one and are ready for the big move, odds are you have a lot of junk to deal with. It is estimated that in the United States homeowners sell their homes on an average of every 5-7 years or so. In California alone home sales have averaged around 400,000 a year. That makes for a lot of moving! And one of the inevitable by-products of a residential move is the years of clutter and unwanted household goods that need to be disposed of. 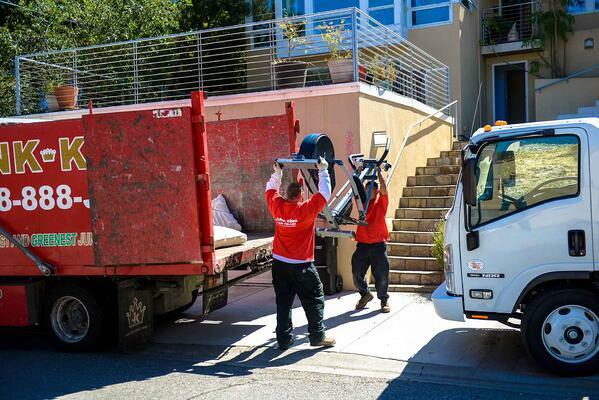 Once you have decided on a professional moving firm to carry your household goods to your new home, it is always a good idea to have a plan for making your move as stress-free as possible, including removing all the junk you do not want to move to your new house. And while you may not anticipate every issue that comes up during your move, having a checklist can help the moving process. Schedule your appointment for a moving agent to visit your home and prepare a written estimate for your personalized move plan. Sign your estimate and book your move. Lock in your move out date and confirm your plan when you officially book your move. Change your address. Begin notifying others that you are moving. An online change of address form is available on the United States Postal Service website. Change your address with your banks, insurance providers, credit cards and magazine subscriptions. Update your information with doctors, lawyers, accountants and any other professional services. Give away, sell or toss anything you do not need. Toss or recycle anything that can’t be donated, sold or gifted. 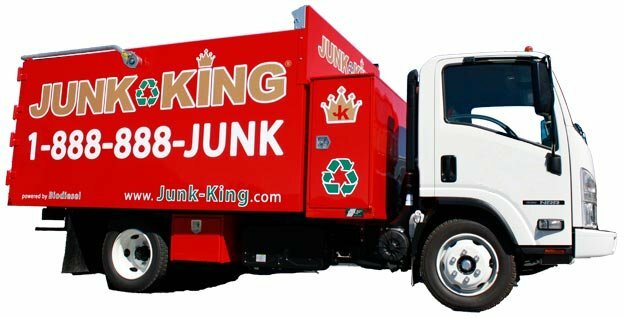 This is a great time to call in a professional junk hauling firm. Check in with your moving company's move coordinator. Notify your move coordinator if you add or subtract items from your planned move or if there are any changes in dates. Inform your friends and family. Confirm your travel plans. Start packing. Prepare your household. Plan for your pets. Finish your errands (e.g. Pick up anything you had cleaned, stored or repaired. Empty your locker at the club or gym. Return anything you have borrowed from friends or neighbors). Go back and double check this list. Review any last minute details. For example, make sure that all mechanical and electrical equipment is properly serviced for shipping prior to the arrival of the moving truck. There are quite a few garbage items that your standard municipal garbage service won’t pick up for you. Some of these items include electronics, furniture, appliances and construction materials. Are your garbage items fairly large and heavy? They probably won’t take them in that case either. Even if your garbage service does pick up your heavy items, you still need to haul the garbage out of your house and out onto the curb. Once the items are on the curb there is no telling whether they might be broken apart and littered on the street near your home. That never looks good.